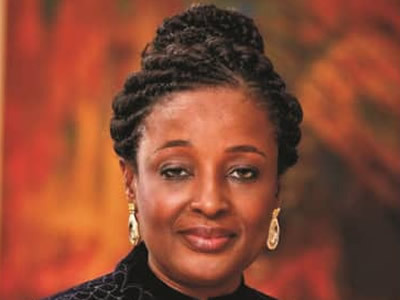 She is the Managing Director/CEO, BOI Investment and Trust Company Limited. She served and rose to the position of Assistant General Manager & Head- Strategic Planning in the Bank of Industry Limited. Before joining BOI, she was a Senior Manager & Head – Business Development in the Leasing Company of Nigeria, presently known as LECON Financial Services Limited. She has had an illustrious working career that saw her through Akintola Williams & Co, IMB Securities and International Merchant Bank (Nig.) Ltd.
As an Entrepreneur, she established Beeba Ventures Limited, a general merchandise company and grew the company’s operations in volume and earnings by developing a profitable and specialized line of product, involving fabrication of African heritage museum pieces in gold plated miniature sizes. She has been involved in several good causes among which is the Junior Achievement of Nigeria (JAN) – a partnership between business and education to expose young people to the values of market driven economies as well as the importance of environmental and social issues; and “ladies Aware” – a local non-profit group (NGO), organized to give informal training in the areas of personal grooming and acquisition of valuable feminine skills to as many young Nigerian women, thereby empowering our less privileged young women. Mrs. Betsy Obaseki is also the Wife of the Governor of Edo State, H.E. Godwin Obaseki. She holds a B.Sc and MSc. in Accounting from the University of Lagos and is an alumnus of the Kellog’s School of Business Executive Management Program, USA.